A Dental Professional Explains Dentures - Thomas E. Cooke, D.D.S. As we age, many of us experience tooth loss due to neglect or trauma. 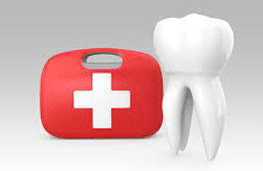 Younger people can also lose teeth, sometimes due to accidents or disregard for oral health care. 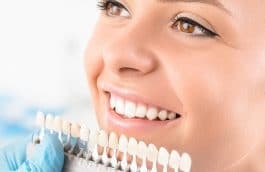 When tooth loss results in the loss of chewing ability, difficulty in speaking, or changes in one’s appearance, dental professionals recommend dentures. 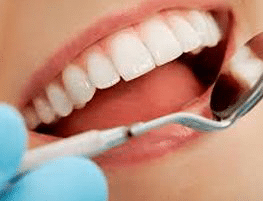 Dentures are designed to restore the appearance and function of mouths, and dentists like Dr. Thomas Cooke, DDS, of Raleigh, North Carolina specialize in helping patients with great-fitting dentures. Removable dentures can be partial, replacing some of the teeth that were lost due to damage, accident, or neglect. They can also be complete dentures, sometimes described as full dentures. These appliances can be removed for cleaning. When placed in the mouth, the remaining teeth and soft tissues of the mouth help to keep them in place. Partial dentures come in two types, cast or acrylic. Cast dentures are a long-term solution, while acrylic dentures are designed for short-term needs such as the time needed to recover from extensive dental extractions. Fixed dentures are permanent, being cemented into place using a row of specially-fitted crowns or by affixing them to dental implants. This type of denture, sometimes referred to as a dental bridge, is specified for those who have lost many teeth due to decay or damage. In both cases, dentures can be fitted in one or two visits to the dentist. There are several steps that dental professionals use to prepare and affix dentures in a patient’s mouth. The process is similar between partial and complete dentures, but there are several differences. First, accurate impressions of the teeth and soft tissues are made using a molding compound. Once the impressions are made, the first stage of the denture is prepared by a dental laboratory. The denture is then test-fitted to ensure comfort and function. If changes need to be made, the dentist can generally handle that in the office. For fixed dentures, accurate castings of the soft tissues of the mouth are made. 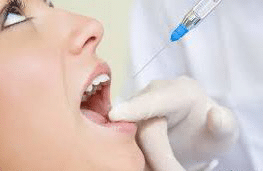 Remaining teeth may need to be extracted under a local anesthetic. For dentures that are affixed to dental implants, the implants are then placed by an oral surgeon, usually in an office setting. 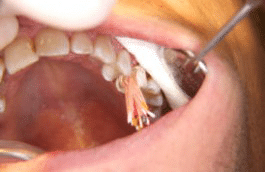 In some cases, temporary teeth are used during the healing process. 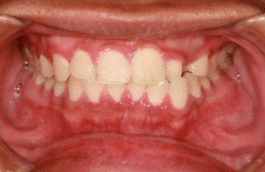 After healing is complete, the fixed denture is installed and fitted for comfort. 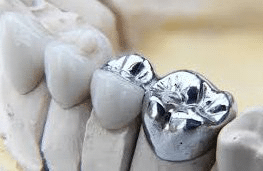 Dentures that rely on cemented crowns are installed by placing the crowns on the remaining teeth, then the appliance is cemented to them for a permanent solution. For denture-wearers, care is critical in maintaining the performance and appearance of these restorative dental appliances. Dentures may be brushed like natural teeth. Removable dentures may be soaked in a cleaning solution and gently brushed before replacing in the mouth. 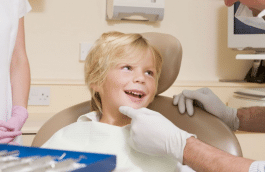 It is important to visit your family dentist for routine checkups and cleanings, helping to ensure a healthy mouth. Speak to your dentist today for more information on partial, complete, and fixed dentures.